There are many ways to advertise with us! 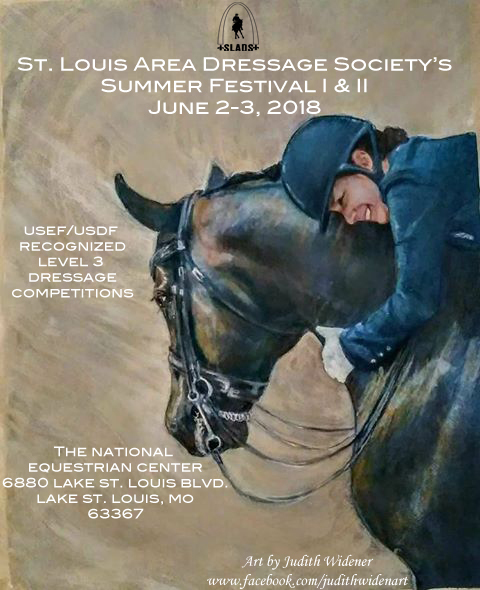 Advertising with the SLADS is a great way to reach dressage riders throughout St. Louis and even the Midwest. To inquire about advertising, please email sladsorg@yahoo.com. Hoofprints Newsletter: We offer photo and classified ads for any budget and our monthly newsletter reaches over a hundred members. 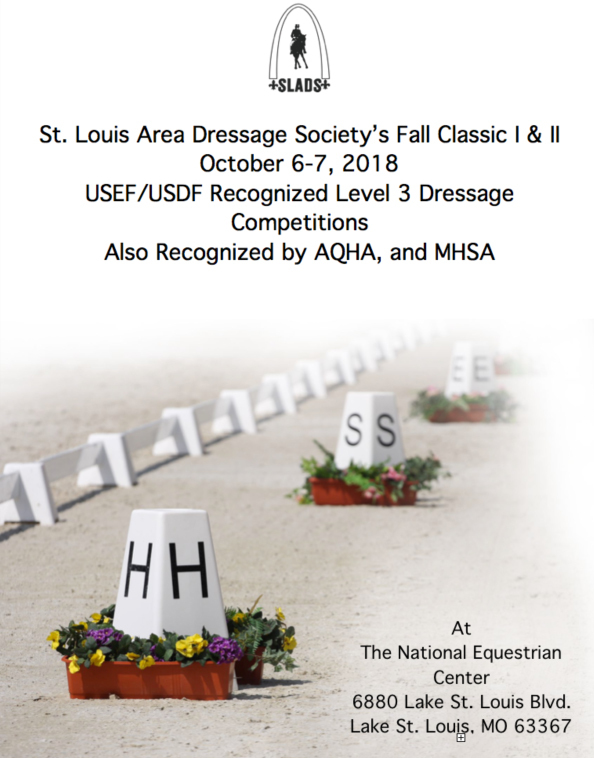 USDF/USEF Recognized Dressage Show Programs: SLADS puts out a show program at both of our USDF/USEF Recognized Dressage Shows each year and offers full or half page color advertisements in them. These show programs are also uploaded to the document section of our website for members and visitors to view. Below are our 2018 Show Programs. Website Business Listings: Business Listing Advertisements are available on our website.